The health benefits of walking are well-documented. Not only can it increase cardiovascular and pulmonary fitness, reduce your risk of strokes and make it easier to manage conditions such as high blood pressure, but it also leads to stronger bones, increased muscle strength and overall better general fitness. However, this only really applies if you’re managing to do at least 30 minutes of walking a day. If you’re on holiday, getting exercise may not be top of your agenda, but wherever you are, there is no better way to see the local sights than by doing a walking tour. You’ll see a lot more than if you go on a tour bus or visiting individual landmarks too. But knowing where to start can be tricky, especially if you’re not familiar with an area. 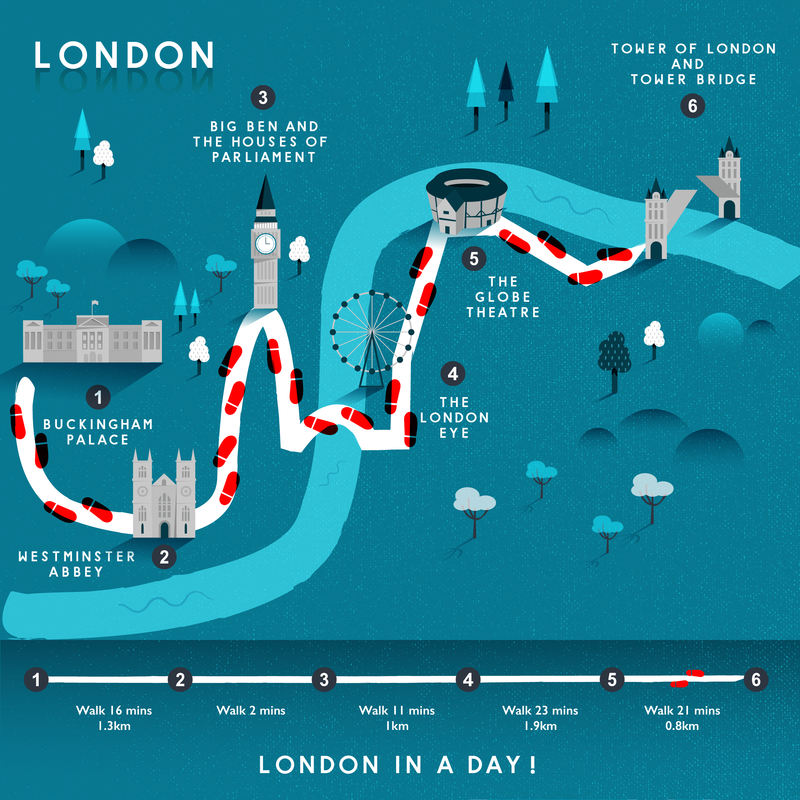 So, to help you out, and to make sure you get in that daily exercise, we took a look at a few of our favourite cities and plotted some routes that take in some of their most famous attractions. 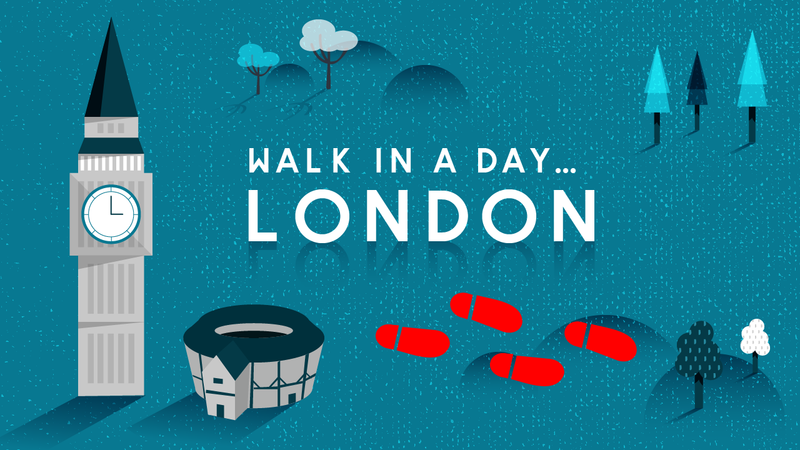 You can easily do these walks in a day, if you don’t want to spend loads of time at each stop along the way. 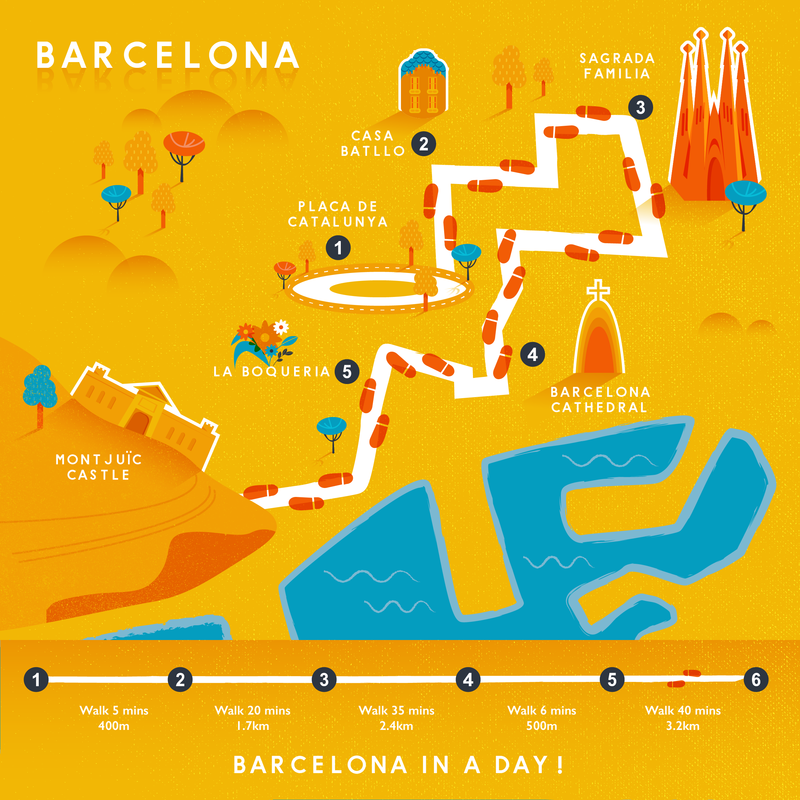 If you do want to spend a bit longer somewhere, just pick up the route the following day! You’ll see plenty of things you wouldn’t normally see, and you’ll be getting loads of exercise too! Barcelona is one of the world’s most beautiful cities, and full of history and fantastic architecture (courtesy of Gaudí). There’s certainly lots to see and do, and fortunately it can easily be walked, so you’ll get plenty of chance to explore the fabulous attractions that it has to offer. A good place to start is the Plaça de Catalunya, which is centrally-located and home to the tourist information office, so you can pick up more information about (and tickets for) the attractions you’ll see on your way. Make sure you start early; there’s plenty to see! Famed Spanish architect Antoni Gaudí was given complete creative freedom to design this house, and the result is spectacular, with a multi-coloured, dragon-shaped roof and a central light well that distributes natural light throughout the house. Yet another masterpiece by Gaudí, this stunning cathedral was started in 1882 and is still being finished. Construction is planned to end in 2026, the centenary of Gaudí’s death (he is buried here). Also known as the Cathedral of the Holy Cross and St. Eulalia, Barcelona Cathedral is the seat of the Archbishop of Barcelona. It has a secluded cloister where 13 white geese are kept (St. Eulalia was 13 when she was martyred. One of Europe’s largest food markets, La Boqueria dates back to the 13th Century but has been held on its current site since 1853. It’s a great place to pick up fresh fruit, vegetables, meat and fish, or to grab a bite to eat at one of the many restaurants and cafes located there. Quite a walk (and uphill! ), but worth it for the view as the sun goes down. The castle’s location on a hill offers 360° views of the city and the sea, which was why it was the ideal spot to build a fortress. The first stone was laid in 1640, but the current layout of the castle dates from 1753. Enjoy a picnic here as the sun goes down, or just enjoy the view, and congratulate yourself on a day well spent! For those not familiar with it, London may appear big and daunting, but it’s actually very easy to get around. 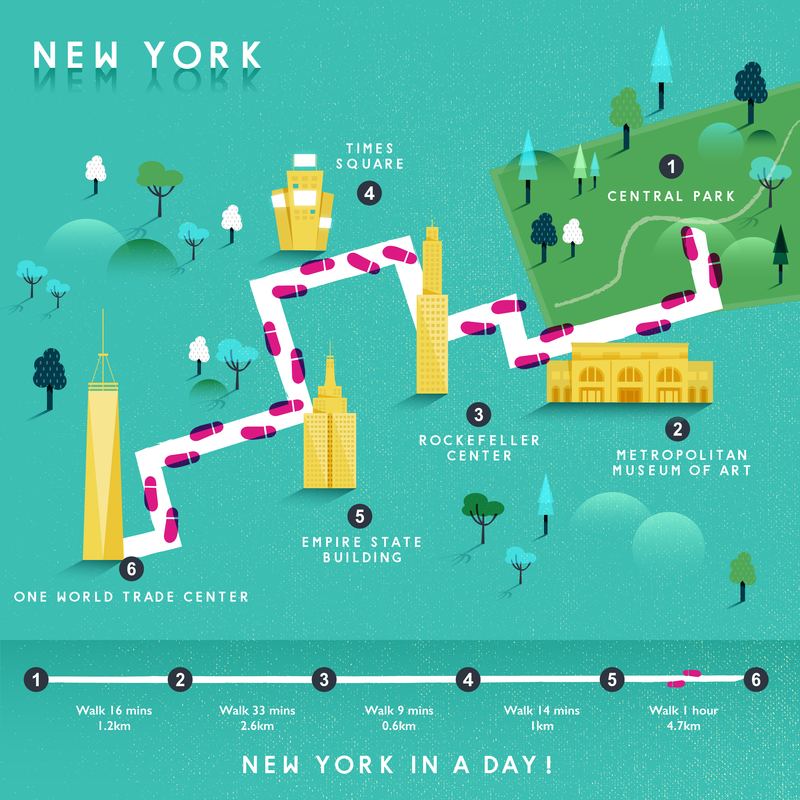 Some of famous sights and attractions are located closer together than you might think, and it’s eminently walkable. Yes, you might have sore feet at the end of the day, but it’s totally worth it (and you can always get the Tube home, or rest up while taking in a show!). The official residence of the UK monarch is very much in use today as both the Queen’s main London home and a venue for events and parties. Despite this, the State Rooms are open to the public throughout summer, so you can see how the other half live. Although this is only a fraction of the 775 rooms the palace has in total! This Gothic church welcomes over 1 million visitors each year and has been the site of every coronation since William the Conqueror in 1066 (plus 16 royal weddings). The present church dates from 1245. Also known as the Palace of Westminster, this is the seat of the British House of Commons and House of Lords. The famous clock tower is often called Big Ben, but Big Ben is actually one of the bells within the tower. Europe’s tallest Ferris wheel has a diameter of 120 metres. A single rotation takes 30 minutes, so passengers have plenty of time to take in the fantastic views across London. Shakespeare’s Globe is a reconstruction of the Globe Theatre, a playhouse originally built in 1599 by Shakespeare’s playing company, the Lord Chamberlain’s Men. Today’s Globe is a working theatre, and sits around 230m from the site of Shakespeare’s original. This historic fortress dates back to the 11th Century and has had many uses, including a palace and a prison. It now houses the Crown Jewels of the United Kingdom. One of the most recognisable bridges in the world, Tower Bridge is famous for its two towers connected by road and walkways. The road section of the bridge can be raised in 5 minutes to allow traffic to pass on the river below. Around 40,000 people cross Tower Bridge every day. Like London, New York may seem huge and daunting if you’re not familiar with it, but thanks to the way Manhattan’s streets are laid out (in a grid pattern. Numbered streets run east to west, with numbers starting from the bottom of the island, while numbered avenues run south to north and are numbered starting in the east of the island) it’s actually pretty easy to find your way round. Locations are often described as a grid reference-style combination of the two, e.g. at 23rd and 5th (23rd Street and 5th Avenue – the location of (among other things) the Flatiron Building). Popularly known as the Met, this is the largest art museum in the USA. The permanent collection contains over 2 million works of art, spanning 5,000 years of world history. Rockefeller Center might be famous for its ice rink and massive Christmas tree, but it’s much more than that! It’s actually a complex of 19 high-rise buildings occupying 22 acres of midtown Manhattan. You can take a tour: visit Top of the Rock for a great view of Central Park and the Empire State Building, or just take in the stunning architecture. Times Square is an area at the junction of Broadway and 7th Avenue, and is known for its huge billboards and adverts. It’s the main hub of the Broadway theatre district, and a centre for the entertainment industry. Well over 355,000 people walk through here each day. No visit to New York would be complete without the Empire State Building. Completed in 1931, it takes its name from the nickname of New York State, has 102 storeys, and is 1,454 feet tall (including its antenna). It was the world’s tallest building until the completion of the North Tower of the World Trade Centre in 1970. From its top, you’ll get magnificent 360° views across the whole city. Forever fixed in people’s memories as one of the sites of the terrorist attacks of September 11th 2001, when it was almost completely destroyed, the World Trade Centre has been rebuilt over the following years (and continues to be). Underneath the complex is a museum dedicated to the September 11th attacks, and the footprints of the Twin Towers still remain as a memorial. In 2014 a new, 1,776-foot tall skyscraper, One World Trade Centre (the same name as the original North Tower), opened. This is now the tallest building in the Western Hemisphere and the sixth-tallest in the world.